We need your help to protect the newly passed Michael Louis Palumbo Jr Act (Fire Fighter Cancer Presumption.) The House Insurance Committee is getting ready to hear House Bill 27 (HB27). HB27 would make an essential change to the law that passed last year. It would allow a city to try to deny coverage under the law if a there “is evidence that the member failed to use or improperly used protective equipment while performing the members official duties.” This could allow employers unlimited challenges to allowing coverage for occupational cancer that could result in delay in treatment when our members need it most. This change is unacceptable. 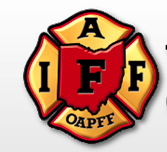 The OAPFF is encouraging active and retired members and your families to call your representative and the members of the committee and tell them to amend HB27 so that it does not change fire fighter cancer presumptive legislation. To find your Representative’s contact info, visit: https://www.legislature.ohio.gov and use the “find my legislators” tool. HB 27 attempts to make a major change to the intent of the Michael Louis Palumbo Jr Act before it has been given a chance to work, less than 60 days after it went into effect. The idea of penalizing fire fighters for perceived “improper use” of fire fighting gear is unrealistic and ignores the fact that many of the exposures that cause cancer in fire fighters happen despite the use of protective equipment. Fire Fighters are exposed to carcinogens even when using fire protective gear. Studies support that toxins in smoke make their way through fire fighters gear and are absorbed through the skin as the fire fighter is inside the smoke filled environment battling the fire. That is the basis for the presumptive nature of the Palumbo Act. We urge the House and the Insurance Committee to let the Palumbo Act help fire fighters with occupational cancer and not start to gut it for solely political purposes before even one fire fighter has a chance to use its provisions. Amend HB27 – take out the language relating to fire fighter cancer coverage. The rules have just been written – the law just went into effect. Let it work and we can address this issue as needed at a later date. Making changes like this now is too soon. This change is unnecessary. The recently passed Palumbo act was based on scientific studies and given full hearings with industry and medical experts. Firefighters are still learning throughout the state what they can do to reduce their risk of occupational cancer. Their are a multitude of items that we can do to reduce our risk, but they don’t happen over night. (or in 35 days). – Changing the culture takes time. – Creating policies and procedures take time. – Implementing many of these actions are logistically difficult due to current budget restraints and lack of resources. The State of Ohio Firefighters are sincere in their efforts to combat firefighter occupational cancer. It is an uphill battle that is going to take some time. It was just three weeks ago that the State Fire Committee added an hour of FF Cancer Awareness/Prevention to the State Firefighter Level 1 & 2 curriculum. Firefighters up until this falls semester will have very little heads up about how significant of a threat occupational cancer is, and the steps required to reduce their risk. Allowing City’s and municipalities to deny coverage could cause a serious delay in our firefighters treatment. Any delay with cancer could be the difference between a firefighter avoiding chemo or radiation and just having surgery, it could be the difference between a firefighter returning to duty or having to retire, the delay could be a difference between life and death. Please follow the directions above of President Taylor and lets preserve The Michael Louis Palumbo Jr Act.